For Lance Shults, joining the military was not always a part of the plan, but family was. 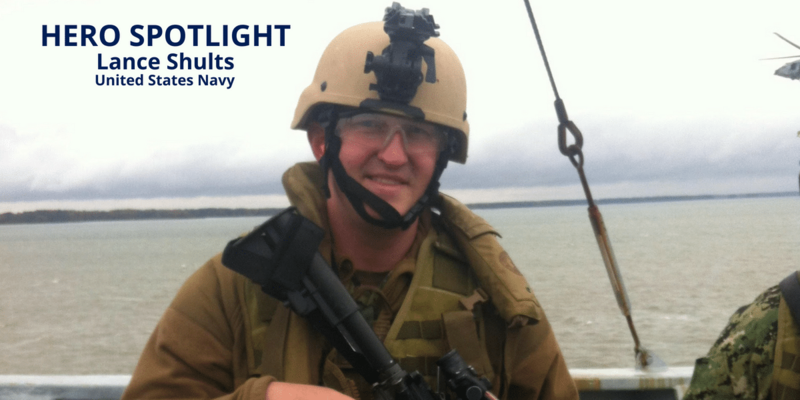 So, when life knocked him off course and into joining the United States Navy, it just so happened to lead him to what he values most in life, family. This is Lance’s story of his journey as a Sailor, son, husband and father. I told her I would go talk to a recruiter. “For the past eight years, my job has been anti-terrorism, force protection and law enforcement, but mainly anti-terrorism. In Bahrain, our job was to provide protection in the Middle East. We had to deal with pirates, Iranians, and terrorists. You name it, we had to deal with it. If any dignitary or ship itself needed protection, coming through the 5th Fleet, which is the Middle East, we would provide that protection. While deployed on the USS Ronald Reagan, things were a bit different. Imagine you take the youngest group of people and put them on a floating cage. And that’s what you have on a carrier. You have a lot of younger people and any kind of criminal case can come up. Most of these people have never left their families, left their homes and now they are on a carrier and deploying every single year, and there is about 5,000 of them. So, it’s a small city and I was in charge of maintaining order. Through my service, I decided to go back-to-back sea. Basically, stay deploying because it was going to benefit my career and my family’s finances. It was stressful and probably the most challenging thing I have ever done. On average, I would see my family maybe 20 days a year, if I was lucky. And there was even an entire year when I didn’t see them at all because of what was going on at the time. When we deployed, we didn’t have internet, we didn’t have video chat like everybody else would have. We only had one email address for the entire ship. So, if my wife sent me an email, she would have to put in the title, my first and last name, but that did not guarantee anybody would not read it. Although back-to-back sea deployment in the Navy was difficult, there are many fond memories that Lance will hold on to for the rest of his life. Such as the fellow Sailors that he gained as brothers and sisters. But especially the new addition to his family in his first-born child. Although Lance could share many stories that support this statement, no other story stands out like the one when his daughter was born. On April 10th, 2018, Lance returned from his last deployment. 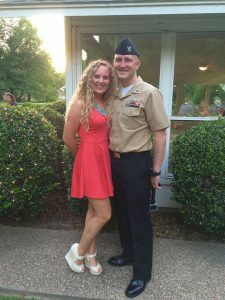 He will continue his service with the Navy in a new position and focus on spending more time with his family as they settle into a new home stateside. So, I was a definitely looking at purchasing a home, and I wanted to find something that could benefit me, someone that could really work with me and my unique situation. And that is when I got hooked up with Faye and Jim Jones with Homes for Heroes. While still stationed in Japan, Lance and his wife started looking for their home back in the states. They found Homes for Heroes through a Google search. After contacting Homes for Heroes, they were connected to Homes for Heroes Lending Specialist, Wendy Thompson, and Homes for Heroes Real Estate Specialists, Jim and Faye Jones in Tennessee, where Lance and his family were looking to move. “It was probably the smoothest home purchase anyone could ever have imagined, considering the fact that we did what is called a site unseen. We purchased the home while we were still in Japan. We really lucked out because the house wasn’t even on the market, and they allowed us to bid on it and close on it within about two months. We have almost an acre. I love the fact that we have a yard. The house is only four years old, so it’s still pretty much a brand-new house. The money the we received back through buying our house with Homes for Heroes, we are putting it back into the house. We are putting on some gutters. Jim and Faye were awesome, and Wendy Thompson was hands down the best lender. I’ve recommended Wendy, as well as Jim and Faye three dozen times to different people because of how smooth the transition was. Jim, Faye and Wendy were hands-down the best. I can’t say enough about it. They helped us out a lot. 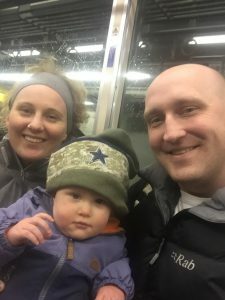 Now that the family is back stateside, with a new position in the Navy, Lance and his wife can focus on spending more time with each other and planning for their daughter’s future. We wish the Shults family all the best in the future endeavors as they settle down in their new home. Thank you for entrusting us to be a part of such a big step in your journey home. And thank you for your service!